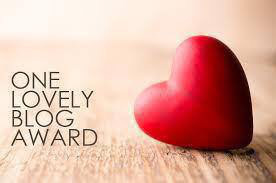 I was nominated by Mommy Lanes Adventures for the One Lovely Blog Award, thank you very much, I am honoured! I am a knitter who loves to spin her own yarn. I love to sink my hands into a beautiful Shetland fleece! I adore the whole process, from choosing the perfect fleece, washing it, preparing it, spinning it, dyeing it (though I love to work with natural colours too.) to knitting the finished item. I really love clothes, and I pretty much live in dresses. If you catch me in a pair of jeans, it’s a rare thing! Oh, this is fun to learn a bit more about you. Most of this, I could gather in bits and pieces from your lovely blog and snippets and peeks into your lovely life! Thank you for your message; sorry you are having difficulties. It might sound silly, but have you tried changing browser? I find it fixes most things!